Preheat oven to 350°F degrees. Place bacon in a single layer on a foil lined sheet. 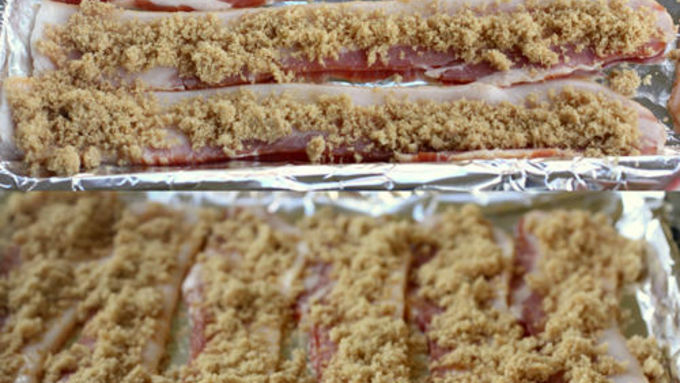 Sprinkle brown sugar on top of bacon strips. Bake for 18-25 minutes or until crispy, making sure to turn bacon over after 10 minutes. Reduce oven temperature to 325°F degrees. Bacon isn’t just for breakfast these days. Sure, we’ve seen it in salads and sandwiches, but now it has taken over the dessert world. It’s topping ice cream, sneaking into brownies, and gracefully accenting pies. We’ve even found a way to make it into candy. What? Bacon candy? 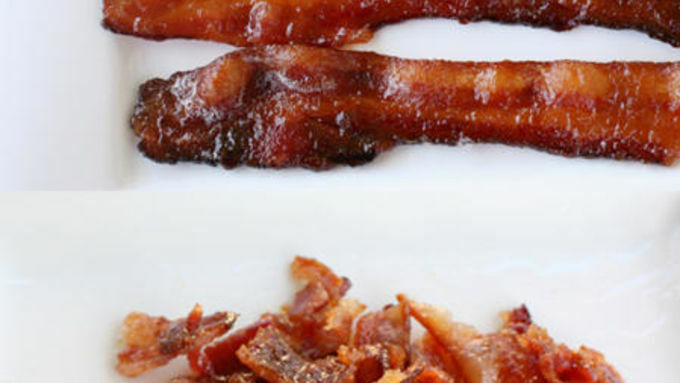 Everyone loves bacon AND everyone loves candy, so why not put them together and make candied bacon? It’s really easy and seriously good. If you’re looking for a snack, just cut the candied bacon into 1-inch pieces and voila, an addicting and satisfying munchie. Just try to stop yourself from eating every last piece. But, let's channel our naughty sides and sneak candied bacon into one of the best treats of all time…chocolate chip cookies. 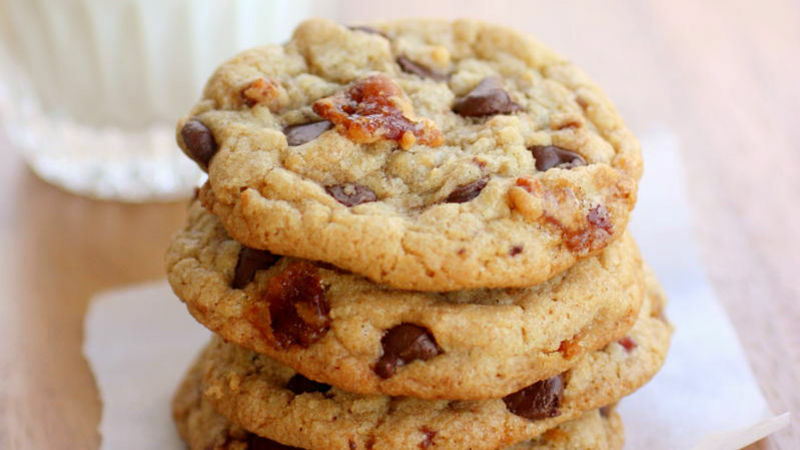 These Candied Bacon Chocolate Chip Cookies are so sinful, they'll send you straight to confession after one bite. Sweet chocolate chip cookies that have a surprise bite of smoky bacon inside -- you'll have people stumped as to what the surprise ingredient is!